For working-age retirees under 65, the Pentagon wants to increase the current Tricare Prime enrollment fee in phases over four years, based on a percentage of retired pay, again with higher charges for retired flag and general officers. For those who retired below flag or general officer rank, the minimum annual enrollment for family coverage would be $548 in 2014, rising to $594 in 2018. The maximum for anyone below flag or general officer rank in 2014 would be $750 for family coverage, rising to $1,226 in 2018. For flag and general officers, annual enrollment for family coverage would be $900 in 2014, rising to $1,840 in 2018. The budget also proposes to increase Tricare Prime co-pays for retirees and their beneficiaries to $16 per medical visit not related to mental health. That would be a $4 increase. 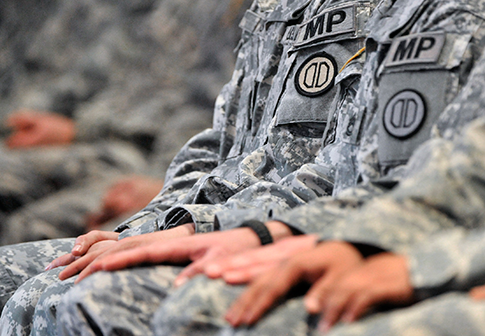 The Obama administration proposed cuts to the military benefits program last year, as well. The administration later threatened to veto a defense appropriations bill last summer, in part because the bill did not include higher health care fees for the military. Tricare Prime fees increased in October, though not to the extent the administration originally pushed for. This entry was posted in National Security and tagged Federal Budget, Tricare. Bookmark the permalink.